There are so many art activities that can revolve around elves. They are a very important part of most children's Christmas beliefs. These little guys are Santa's helpers, after all. 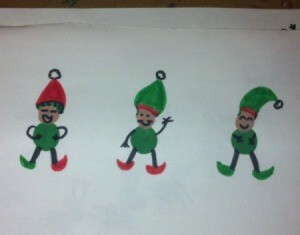 In this craft, your child will get to make miniature elves using only their fingers, paint, and markers. It is a fairly simple craft and the elves turn out to be adorable. 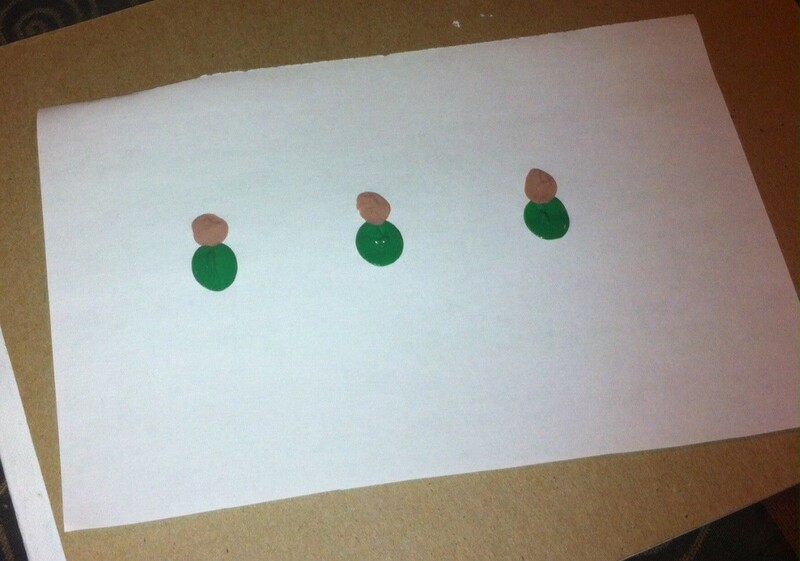 Dip your thumb into the green paint and place it onto the paper. This will be the elf's body. Dip your index finger into the tan/light brown paint and place it above the green print. This will be the elf's head. Repeat for as many elves as you want. Allow to dry. Take the red or green marker and draw a Santa hat on top of each elf. Add the white fuzzy ball and trim with the black marker. Take the black marker and add the legs, arms, and facial features. Use the green or red marker for the shoes. This step is reflected in the main photo! Laminate for durability, if you choose! What a fun idea especially for those who need instant gratification. Definitely! They are easy and quick to create; that's for sure!